By gathering the voices of the art world who strongly reject the idea of a "Brexit", we can join the forces willing to build a better future for the UK, not in opposition but in collaboration. I'll work to get a column publish in the British, French and German press - to start with. Any other idea is welcome. 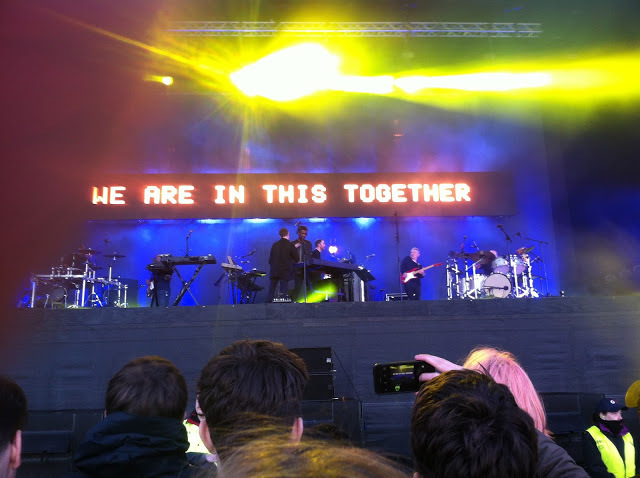 Picture by myself: Massive Attack in Hyde Park, London, on July 1st, 2016, after interpreting their song 'Eurochild' and deploring the "Brexit" vote. In the rainy month of November 1993, my English teacher organised a trip for all our classroom to go and visit England. We all took the bus to Calais and the ferry to Dover to cross the Channel and drive up to Canterbury, Oxford and of course London. And despite the wet weather and a visit to the National Maritime Museum with a series of an impossible-to-answer Q & A about British history… it was love at first sight. It was only my third trip outside of France, after a week of student exchange in Germany and a family visit on the other side of the Mediterranean Sea, and for the first time of the three, I could actually understand local people… I realised I could speak fluently a foreign language. I was already, at 13 years old, a massive fan of popular music, and the songs of the Beatles and a few other more recent bands had taught me English much more than my schoolbooks. This experience was made possible because we were part of the European community. A few years later, the community became the European Union and the Eurostar opened, enabling thousands of French teenagers like myself to visit London again in only three hours. I want again. And again and again. And in 2009, I settle there, as a young journalist, passionate by travels, who had lived six months in Czech Republic, travelled across all Italy and central Europe and lived a year in the United States in 2008. Moving to the United Kingdom is one of the most powerful experience life has sent me. It also came after a family loss and without this move, I don’t know if I would have recovered the same way. I was hired by the BBC World Service to use my skills in French to broadcast news to French-speaking listeners in Central and West Africa. It was an eye- and mind-opening chance to understand our world more globally and to get to travel and live in Africa a few years later. When I came back from Nairobi, I didn’t hesitate, I moved back to London, not Paris. I found in England a second home and an educational challenge, and a change of perspective on our changing world. I witnessed and reported on the campaign, while also covering the appalling refugee crisis that was reaching Europe and got many countries, including the United States, France and the UK to only react in disdaining refugees… Claiming they had no means to be able to help the people running away from poverty, dictatorships and wars from Syria, Iraq, Sudan, Eritrea and Afghanistan that the Western World was partly to greatly responsible of. While Greece, Italy and Germany kept receiving these stricken fleeing people. It was a terrible time, but I was betting that most British people would recognise that a withdrawal from the European Union would only make our problem-solving efforts more difficult. But unfortunately, they didn’t. 52% of them didn’t and voted to “Leave” on June 23rd, 2016. Now a year later, my book on British art and music has been released in France and I’m working on the English version. Meanwhile, I reported on the consequence of Brexit for a German radio, in Northern Ireland, in London and more recently in Scotland, appalled by the lack of political vision and the disunion provoked inside the Kingdom. Talking almost daily with British friends, mostly teachers, workers of the NHS, artists, thinkers, journalists and musicians, we are all appallingly saddened by this decision and by the ill-treatment of the negotiations with Brussels led by Boris Johnson then Theresa May. As a French citizen, world-traveller and European, passionately in love with the United Kingdom, a country that has never stopped enriching my life since 1993, I’m now willing to publically call on to every European citizens who want to make their voice heard on the issue. 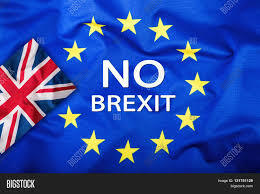 A so-called “Brexit”, withdrawal of a key member of our European Union, would do no good to the EU and definitely no good to the citizens of the UK and the millions of Europeans living there. For science, research and education, it predicts a disaster. For artists and musicians, travelling all over Europe to share their performances and views on our world, it is a tragedy.